Lock in a great price for Hotel Palata Venezia – rated 8.7 by recent guests! Location was lovely as was the pool. Loved the music on the terrace at night. Restaurant location was great. Right in the heart of Old Town Ulcinj in the old palace of the Beg (Ottoman Duke) of Ulcinj. 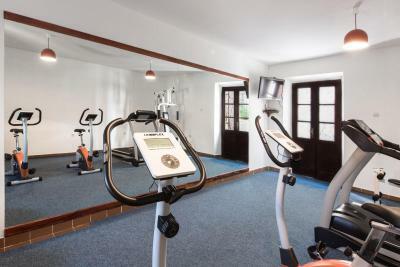 Gorgeous facility, great views of sea, and friendly staff. Next door to the best restaurant in town, Dulcinea. 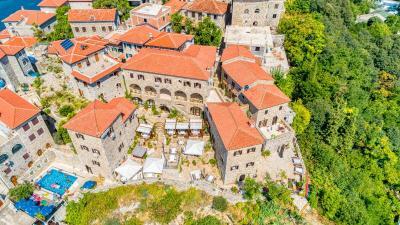 Wonderful facility of refurbished old buildings at the top tip of the old town with views of the city beach, the entire waterfront portion of Ulcinj, and the sea. 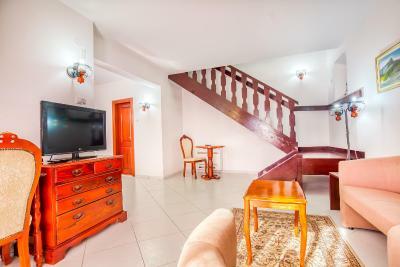 The views are great, the location is relatively quiet, just far enough from the thumping night clubs in town that the noise is not much of a bother, yet close enough to enjoy a pleasant, easy walk right down to the municipal breach and the core of town. 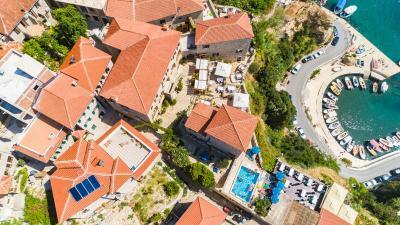 The place itself is also wonderful, a beautiful complex of stone buildings with terrace and small but nice swimming pool. The room - 2-bedroom apartment with balcony - was great, very large with more than enough room, nice balcony with view, very clean, nice beds, bathroom, air conditioning. Great location with beautiful views. The staff are very friendly and helpful. The Charm and the location of the hotel. The view. The swimming pool. The leaving presents. The kindness and attention of the staff. The delicious fried squids and the fresh bread. A wonderful visit to Hotel Palata Venezia, our family stayed in one of the best apartments with the large private terrace overlooking the bay. The views are simply superb, and it was wonderful to step out on the terrace early morning and soak up the sun and the views. We loved staying in the old town, and also our girls spend alot of time enjoying the small outdoor pool. We had the special opportunity to view the work of a local artist - the late Rudi Goga - the hotel prepared a special viewing of his artwork and it was specially mounted and lit all around the walls of the old hotel that evening. 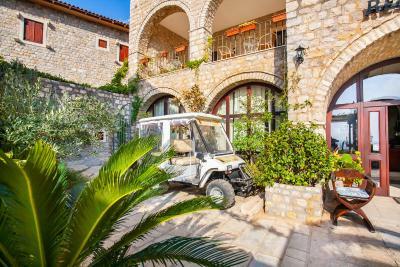 I had the pleasure of meeting the hotel manager and he explained some more about Goga's work. On checkout the manager's son kindly presented me with a lovely bottle of Palata Venezia wine, which was a very kind gift, and reflects on the quality of this superb little hotel. 100% recommended. Excellent staff, warm and welcoming. 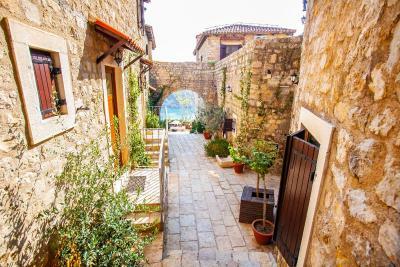 Set in a beautiful old town location. Our room was large, very clean and furnished well. The views are spectacular. The breakfast buffet was okay but importantly fresh. Staff are friendly also. 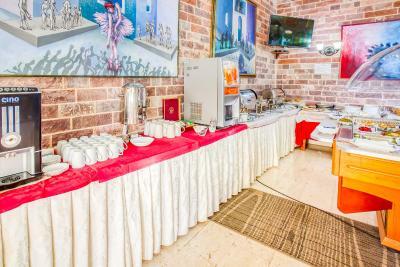 Hotel Palata Venezia This rating is a reflection of how the property compares to the industry standard when it comes to price, facilities and services available. It's based on a self-evaluation by the property. Use this rating to help choose your stay! 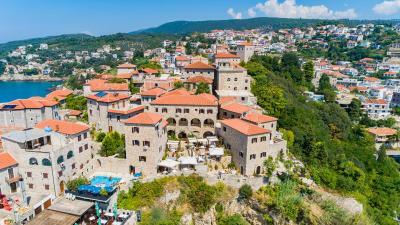 One of our top picks in Ulcinj.Hotel Palata Venezia is located in a 2000 year old fortification on Ulcinj’s coast, and it features accommodations with sea views, free Wi-Fi and a large shared terrace overlooking the coast. A sandy beach is 150 feet away, and several other beaches can be found in the surroundings. The Palata Venezia features rooms and apartments with a flat-screen TV, a mini-bar and a desk. 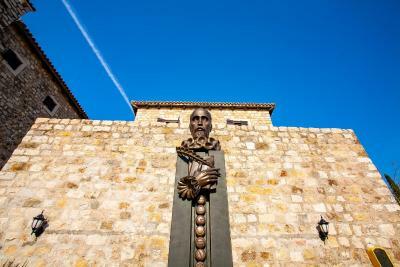 Located in a former King’s Castle, these rooms have a historic feel and provide a unique site worth visiting. 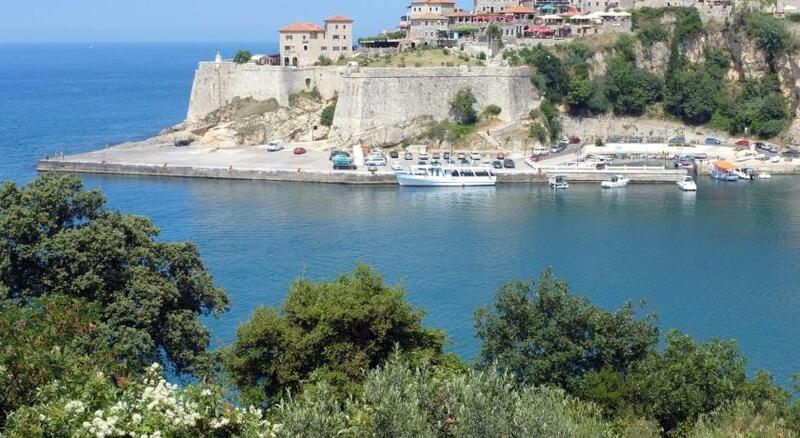 The center of Ulcinj is 1,650 feet away. There, guests can find shops, cafes, bars and restaurants. Velika Plaža, the longest sandy beach in this part of Montenegro stretches over 7.5 mi. Free luggage transfer can be arranged from certain locations to the hotel. 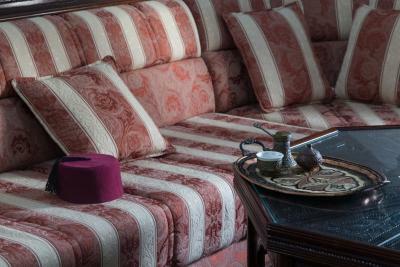 When would you like to stay at Hotel Palata Venezia? 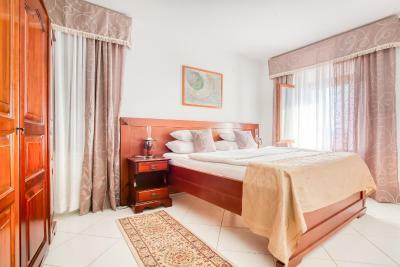 Features a mini-bar, a safe, an LCD satellite TV and a shared terrace with sea view. Private bathroom features a bidet and a hairdryer. 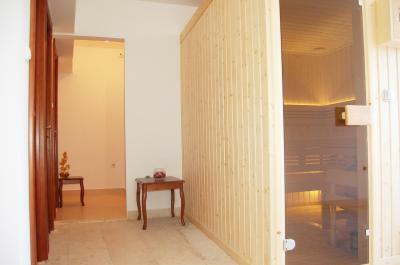 Features a seating area, a mini-bar, a safe, an LCD satellite TV and a spacious shared terrace with sea view. Private bathroom features a bidet and hairdryer. 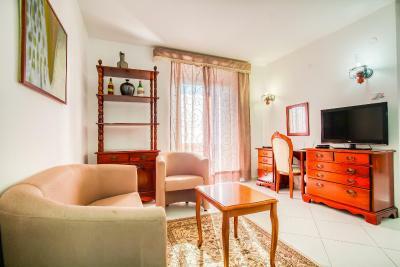 The apartment comes with air conditioning, satellite TV and a balcony overlooking the marina and sea promenade. 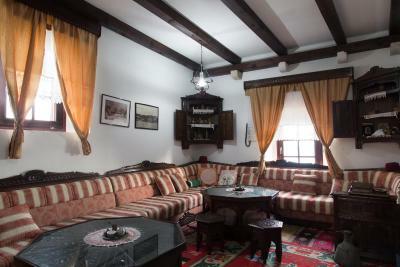 A living room, kitchen and 2 bedrooms are featured. 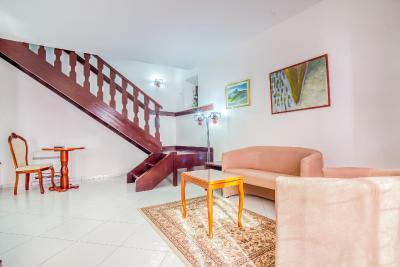 Air-conditioned apartment consisting of a living room with satellite TV, as well as an equipped kitchen and 2 bedrooms. 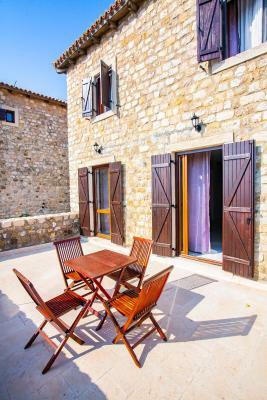 Guests have access to a shared terrace with sea view. 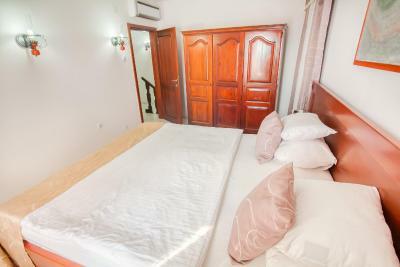 This twin room consists of a private bathroom, satellite TV, air-conditioning. 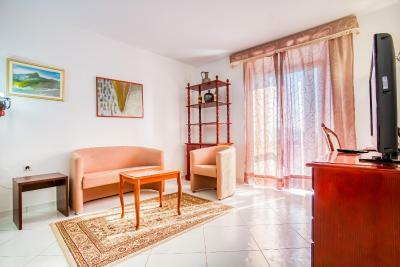 Air-conditioned apartment with satellite TV, kitchen facilities and a living room. Apartment has a private balcony overlooking the sea and the seaside promenade. 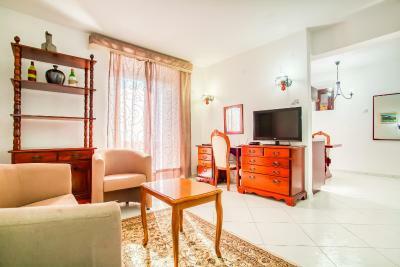 Air-conditioned apartment with satellite TV, kitchen facilities and a living room. It offers sea views. 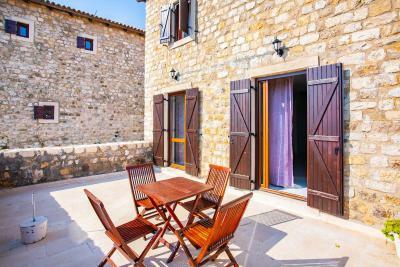 Guests have access to a shared terrace. 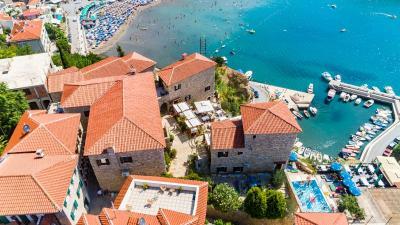 Once upon a time, this hotel was the first Customs in Adriatic sea. After that, it was also a Residence of the Major. 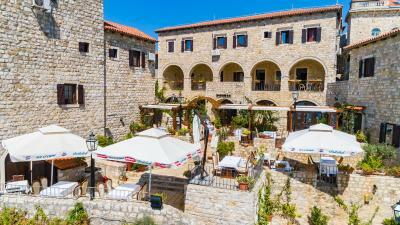 Now, this hotel is renovated and offers unique views and comfort in every accommodation unit. House Rules Hotel Palata Venezia takes special requests – add in the next step! Hotel Palata Venezia accepts these cards and reserves the right to temporarily hold an amount prior to arrival. View of the sea. The lady who checked me out was very helpful and was kind enough to give me a discount to compensate for the extremely loud party that went on until 1am. 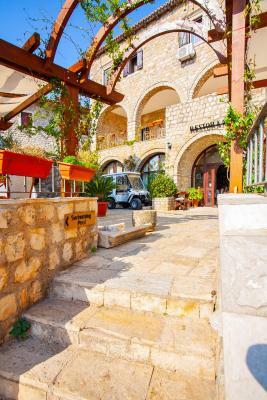 The place was amaizing, it is the old part of the tonw connverted to a hotel and I think it was one of the best places I have ever been to on holidays. The appartment was very big in size and extremely confortable, it had a large terrace ovelooking the sea and the village. 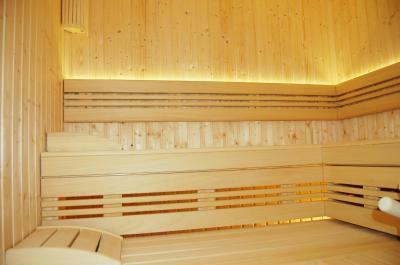 The sauna is a deffinite plus. The staff was very friendly and helpful and they made our stay a joy. I cannot recommend this place enough! Oh and beds were super confortable! As a few reviewers noted - it can be a little noisy from the beach bars at night, but for us it was actually enjoyable to see the contrast of the lively bars below whilst looking on from the old town, and our superb terrace. The crowded beach. The noise from the bars and discos downstairs on saturday night. 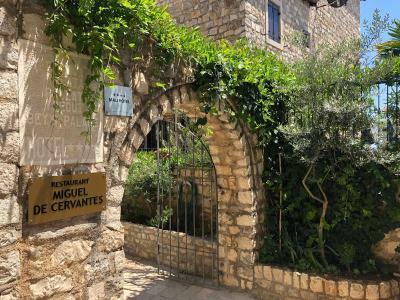 The lack of reserved parking places at the entrance of the old town. The 3 missing lamp glasses in the room. The noise from Ulcinj Bay Area at night is very loud. The rooms are “sound proofed” but still you can hear music until early hours. Not exactly the hotel’s fault but still worth noting. The heat of the water in the shower was intermittent at all times of day, and the position of the shower head just doesn’t make sense. You can’t help but flood the bathroom! Cleaners also made a lot of noise from 6:30am so we never had decent sleep in four nights. 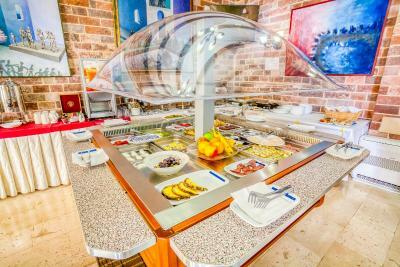 Pleasant accommodations, staff helpful is very nice,wonderful view.Delicious foods.Entertainment programs. Simply fantastic! 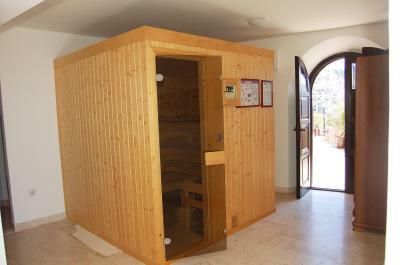 The position on the hill, the wonderful views, the friendly staff and the whole atmosphere. We loved it! This is an absolutely wonderful hotel. 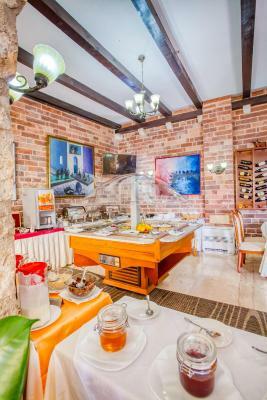 Very friendly and helpful staff and manager, beautiful location with great view of the sea. 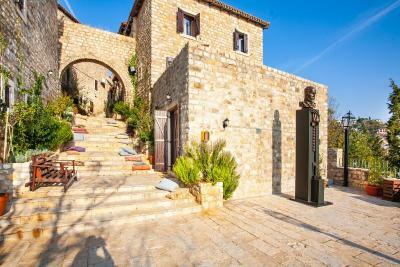 Close to the beach and Ulcinj city centre. We loved it so much here and would highly recommend it to everyone! Hard to find where to park. Needs better instructions and signage. Breakfast wasn't great. They had a lot of below average dishes. Would have been better to serve less and do it well. We had poor service from our waiter in the restaurant and the chef tried to push us into buying a huge fish that we couldn't possibly have eaten. The food was average.